CrystalNet licenses are per developer which allows only a single developer to use our products in unlimited computers non-concurrently. Note that each and every developer that uses our products must obtain an individual license and that license cannot be shared among multiple developers. 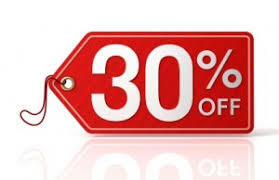 We are now offering a promotional 30% discount off the prices below for all the .Net Visual Component Library(VCL) for Delphi Licenses including Upgrades from now up to the end of April. To get the discount, you need to enter the following coupon code in the checkout page: C7E6-4CB4-A244. Don't miss the chance to buy any of the .Net VCL for Delphi license at the most favorable price. The offer will expire on April 30, 2019. Extends the Professional Edition and includes .Net DLL/WSDL Import Utility for Delphi. Includes both the .Net Component Suite and the .Net Control Suite Editions. A cost-effective solution for developers to access all the .Net Components from Delphi. A cost-effective solution for developers to access all the .Net Controls from Delphi. To assist you in the ordering process, we've compiled a list of purchase and licensing related FAQ. If you require direct assistance from a member of the CrystalNet team on a new purchase, an existing license or renewal/upgrade costs, chat with us online or email us at clientservices@crystalnet-tech.com. Pricing and licensing terms are subject to change with or without notice. If within the first 30 days of ownership you are not satisfied with the capabilities of our tools, you can request a full refund of the amount you paid to CrystalNet by writing to clientservices@crystalnet-tech.com. Each developer within your organization must obtain an individual license to use CrystalNet .Net Visual Component Library (VCL) for Delphi. We offer discounts when purchasing more than one license for your development team. If you have a license for .Net Runtime Library for Delphi and wish to upgrade to any of the .Net VCL for Delphi Edition Licenses, then contact clientservices@crystalnet-tech.com for assistance.